How do you share your home staging statistics? As professional home stagers in your local markets, how do you share your home staging statistics and home staging successes? It’s a common practice to give general statistics or industry wide statistics to our customers or in our media. More often than not, homeowners and Realtors believe that general statisics are always based on top performing markets like New York, Chicago, or Los Angeles. They don’t think that their market and their listings will perform the same way. In order to showcase the value that you can provide customers in your market, it’s important to regularly provide updates with your client base letting them know what’s actually happening right there, where they are. Let’s look at some of the ways that SAR Home Staging Training Instructors and Mentors are using their information locally. Post by Just Perfect! Home Staging + More. Just Perfect Home Staging & More, out of Wilmington, NC does an outstanding job of using social media to showcase not only their work through tons of photos but also by creating sharable images that feature just how much money their clients saved by staging. When other sellers and Realtors in their market realize just how much value they may be leaving on the table by leaving their listings empty, they’ll call. Post by Home Matters Home Staging & Training, Indianapolis. Home Matters, LLC in Indianapolis, IN also uses a photo to showcase their results on social media. In addition, however, they include the names of the Realtors who listed the property. This not only creates great advertising for their business but those who are connected most to the home seller. Getting more business for the agents who support your business is simply good business, right? When they have more sellers, you have more sellers. It’s a great cycle! Post by Rave ReViews Home Staging. 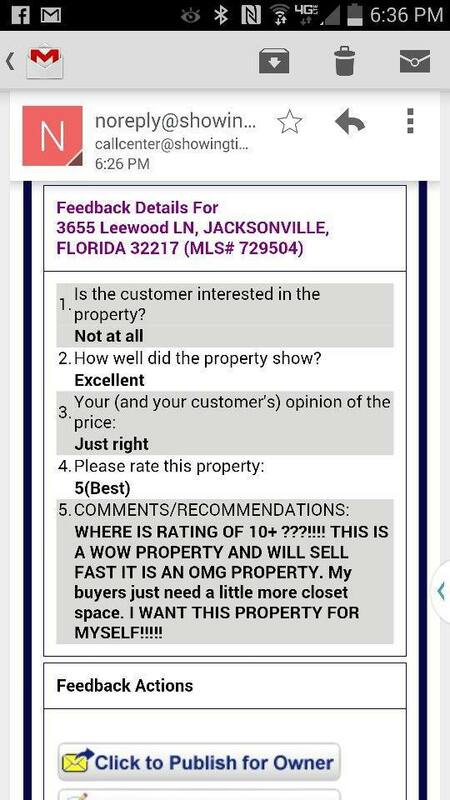 Rave ReViews Home Staging out of Jacksonville & St Augustine, FL created a simple template to showcase home staging statistics. While the template really highlights the photos and days on market, with little else, they use the description area in social media to tell the story about the image. The great thing about this method is that words in places like Google Plus and in websites are usually helpful to SEO vs words used on images that have no SEO value. Social media is the best medium to share home staging statistics. I think this is a great idea! You are right about showcasing your results through social media, it reaches to the insanely wide number of people and giving due recognition to the realtors who helped in getting the sale done, creates a strong synergy and business relation, which is extremely beneficial in longer run.